The question comes up all the time from dieters: why can't I eat less 1200 calories? Why are extremely low calorie diets bad? There are several answers to this question, and now there's another one. Researchers examined the effect of a very low calorie diet (500 calories per day) to a 1250 calorie diet. Volunteers followed the 500 calorie diet for 5 weeks. The 1250 diet went on for 12 weeks. At the end of the diet periods, both groups had lost on average 19 lbs. You might conclude that the crash diet was a better choice, since those people lost 19 lbs in just 5 weeks. Unfortunately, a significant part of their weight loss was muscle. In just 5 weeks they lost 3.5 lbs of fat-free mass, which was almost 10% of their weight loss. The other group of dieters lost just 1.3 lbs of fat free mass in 12 weeks. 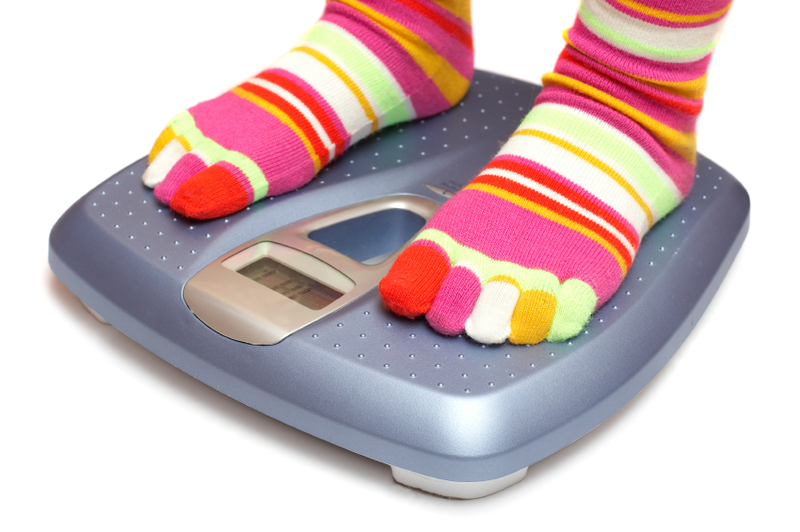 If you just go by what your scale says, you have no way to know the composition of your weight loss. A good scale that measures body fat can give you some idea, but most people don’t use those. They’re overly focused on the simple total body weight. Very low calorie diets are never a good idea for lots of other reasons. 1. They teach you nothing about switching your lifestyle to a balanced healthy diet. You learn that weight loss depends on extreme calorie deprivation, and then you go back to eating the way you did and regain all the weight. 2. They stress your metabolism. Unless you're less than 5 feet tall, or are a petite elderly sedentary person, 1200 calories will barely cover your basic energy needs for things like breathing, heart beat, brain function and digestion. Chronically eating less than your basic requirement affects your metabolism adversely. You'll feel fatigued and have less and less physical or mental energy for any activity. 3. It's very hard, if not impossible, to consume all the nutrients you need everyday if you chronically eat less than 1200 calories. Certainly it’s impossible on 500 calories. Of course, you might believe taking a vitamin supplement will take care of this problem, but it's not clear that we know what all the nutrients are even now. Or that nutrients will be properly processed in the absence of sufficient calories. Still thinking of severely restricting calories? There was another interesting piece of news about weight loss recently. Data from the long-running NHANES survey of peoples' food and exercise habits shows that in the past 20 years, calorie intake has remained relatively stable. So why do we have an obesity epidemic? Isn’t obesity caused by overeating? The researchers found that physical activity has plummeted. For example, in 1994, barely 20% of women admitted they did no physical activity. In 2010, 50% - half - of respondents admitted that. Drastic decrease in calorie burning activity. Result: increasing obesity. So for your weight loss efforts, the best plan is to modestly reduce calorie intake and significantly increase your physical activity. Don't just do a token 30 minute workout 2-3 times a week. Serious weight management demands daily activity, preferably spread throughout the day. Walk for transportation, get up from your desk regularly, schedule calorie-burning activities such as jogging, brisk walking, bike rides and weights. Don't discount other fun activities like dancing, hiking and sports. Even better, exercise stimulates muscles to be strong and even to grow. Your best diet advice: keep moving and ditch the very low calorie diet idea.